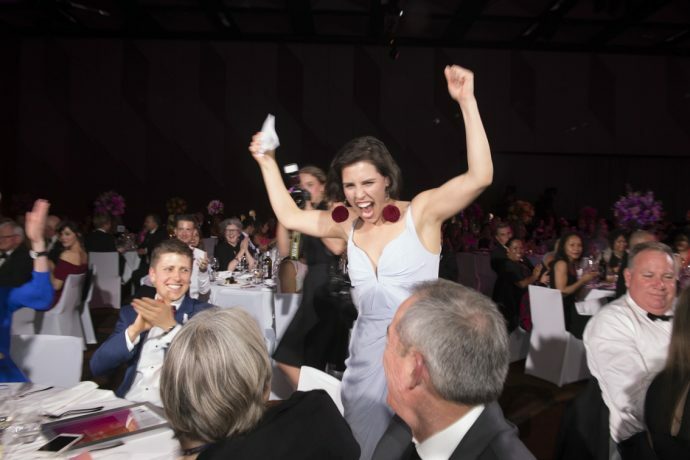 Such a thrill to witness years of hard slog and tenacity being celebrated at the Telstra Business Woman of the Year awards last night. 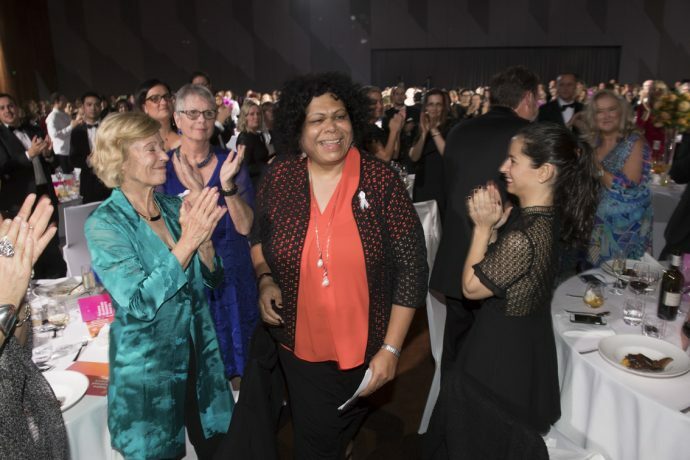 NPY Women’s Council CEO Andrea Mason was applauded for her leadership in breaking the cycle of domestic violence. She has represented remote Aboriginal communities for more than twenty years. She encouraged other women to celebrate authority. Discover her full story over here. As usual, the speeches were the highlight of the night. Each winner spoke candidly about their struggles, the glass ceiling and urged other women to never give up. The Queenslander was acknowledged with a Public Service & Academia Award. 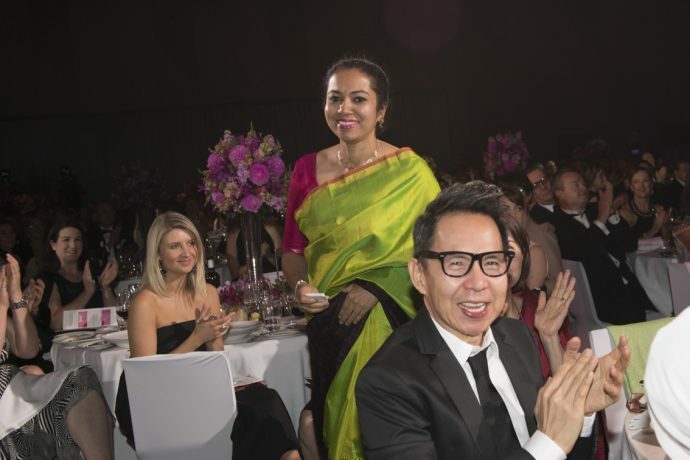 The inaugural Business Woman in Asia award recipient, Rituparna Chakrabortty from TeamLease Services Ltd in India, was elated to share the stage. The Melbourne-based founder of a business that makes ethical range of nail polish, Anna Ross, took out Young Business Woman of the Year. As you can see from her pic below, she was fairly stoked. Her company, Kester Black, is the first company in the world to have B Corp Certification. I’ll share an interview with Anna soon. Nominations for these awards are open all year round, it’s a great way of honouring an inspiring friend, colleague or even stranger. Nominate here. 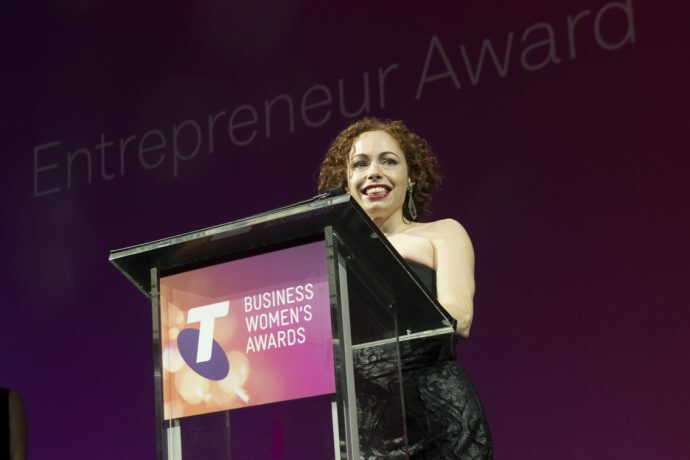 Jenny Paradiso from Suntrix took out the Entrepreneur award and thanked the 11 judges for believing in her.